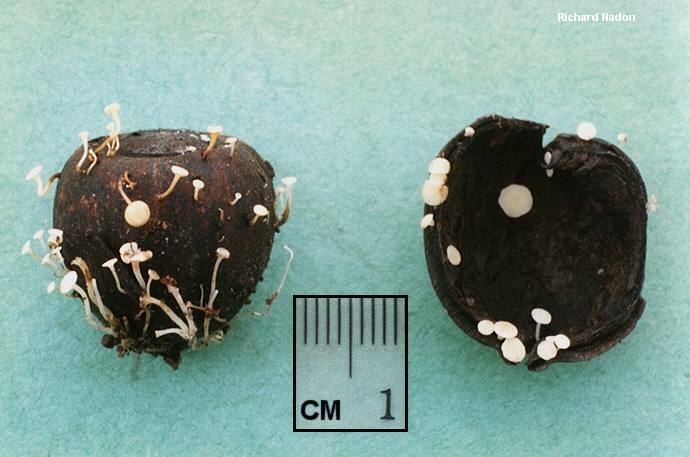 This tiny cup fungus competes with Bisporella citrina for the honor of being the smallest mushroom treated at MushroomExpert.Com, with caps maxing out at 4 mm. Growing in clusters on beech nuts, hickory shells, and acorns, Hymenoscyphus fructigenus is often found fruiting alongside Mycena luteopallens--a tiny gilled mushroom that seems enormous by comparison, since a single hickory shell can hold dozens of specimens of Hymenoscyphus fructigenus. Ecology: Saprobic on beech nuts, hickory shells, acorns, and other nuts; growing gregariously or in clusters; summer and fall; widely distributed in North America. 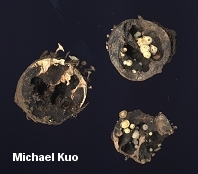 Fruiting Body: Cup shaped to disc shaped; the disc up to 4 mm across; with a tiny stem that may become elongated; smooth or finely downy on the underside and stem; uniformly whitish to very pale yellow. 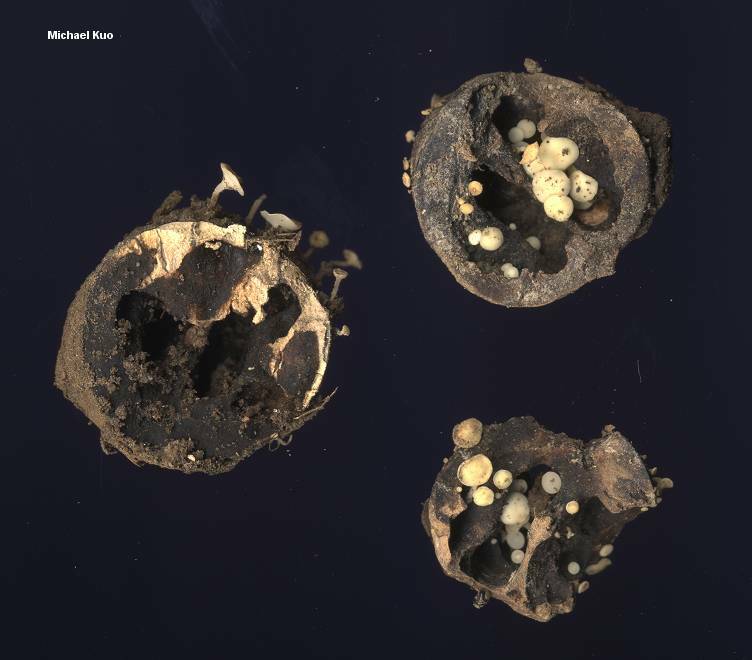 Microscopic Features: Spores 13-25 x 3-5 µ irregularly fusiform; smooth; often septate. 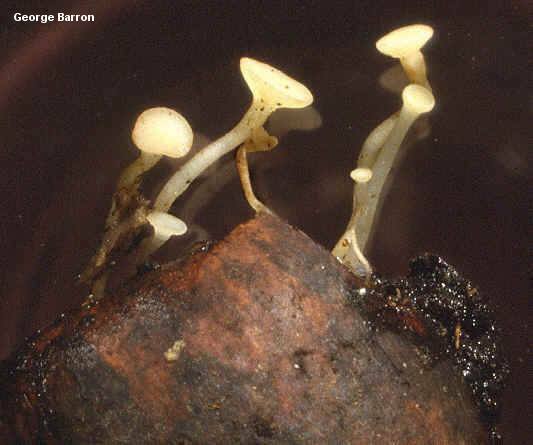 Paraphyses thin-cylindric. REFERENCES: (Bulliard, 1785) Fries, 1822. (Saccardo, 1889; Dennis, 1968; Breitenbach & Kränzlin, 1984; Lincoff, 1981; Barron, 1999; Binion et al., 2008.) Herb. Kuo 09280302.